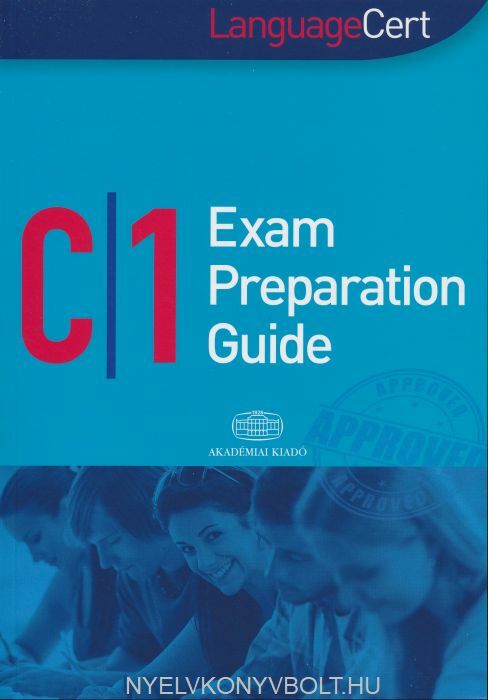 The book offers students exam preparation support for the C1 level LanguageCert examinations. 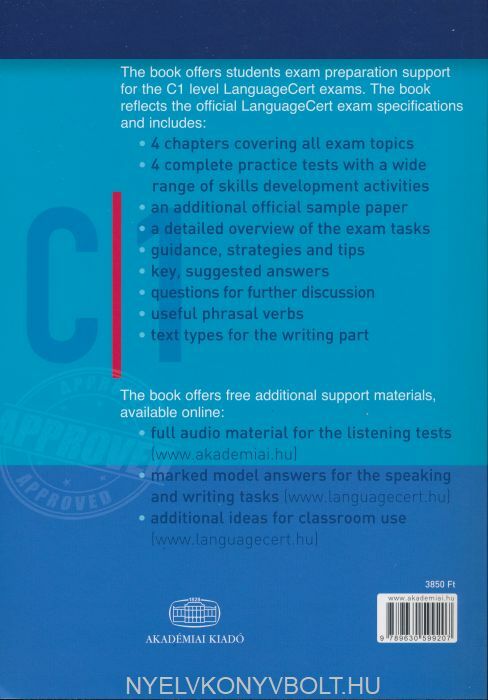 The book reflects the official LanguageCert exam specifications. The book offers students comprehensive exam preparation support for the C1 level LanguageCert examinations. The book reflects the official LanguageCert exam specifications and includes 4+1complete practice tests, as well as a wide range of skills development activities, guidance, strategies and tips. To facilitate self-study endeavours, an answer key and a script for the Listening tasks has been included at the end of the book. Full audio material for the Listening tasks is downloadable at www.akademiai.hu with the code inside the book free of charge.